Migration is a mysterious thing. For us humans, it’s somewhat easier to explain our tendency to want to venture away from the familiar. But what about those birds? Surely they are the masters of migration. Not all birds migrate: cardinals, woodpeckers, nuthatches, chickadees, goldfinches and blue jays are examples. Scientists aren’t quite sure why birds migrate, and how they migrate is almost as much a mystery too. For example, I have bluebirds in my yard each year. As I’ve done some research on bluebirds, I’ve learned that it’s very common for a family of birds to return to the exact same nesting box year after year. This is despite migrating hundreds of miles to get there. However, several birds that we see each summer travel much farther than bluebirds, which spend their winters in southern US states. Consider the Ruby Throated Hummingbird. It weighs the equivalent of a nickel, yet it flies thousands of miles from Central and South America, across the Gulf of Mexico, and as far north as Canada. The Baltimore Oriole, Rose Breasted Grosbeak, Indigo Bunting and many warblers also come as far. Like bluebirds, they will often return to the same neighborhood each year. Think about it; there’s no mini GPS units strapped to their backs telling them to turn left in X mile, at which time they’ll arrive at their destination of the little brown ranch house on the edge of the woods. It’s a mystery. Something draws them home. Something compels them to keep going, to not be persuaded to go off course, despite the storms and blowing winds. It’s as if they are fixed like a laser beam on their final destination. They are not influenced, swayed or convinced to follow a different path. There is an unseen force guiding them and they know where they belong. Oh, how I wish I were as compelled. I confess that I often begin many journeys of life with my eyes fixed on the prize and determined to follow the right path. It may be something as simple as a commitment to exercise, or something of a more serious matter like a promise from the heart. I sincerely long to make the right choices, but as storms come and the winds of life blow, I’m often discouraged to give up or settle for less than the goal, less than home. Temptations and tangents can easily come. I’ve made many mistakes in my life, and through them I’ve learned, quite honestly, that left to myself I can be led astray and settle for less than what I know was intended for my life. I can’t navigate life… by myself. My depth of sincerity isn’t enough. My will power isn’t enough. Even my best isn’t enough … by myself. I long to be like the bluebird who returns to my yard each spring, guided by an unseen force, a force greater than my flawed self. My heart treasures those times, when taking the right path is an effortless journey, one where I’m guided by that unseen force to where I belong. Left to my own defenses, my own efforts, and my own limited wisdom, I’d never find home. I’m so thankful that in the end, it’s really not up to me to get there, and that I can rely on a mysterious power and strength greater than my own to guide me home. Tammy is a regular contributor to our quarterly member newsletter, and her articles will now be a monthly addition to our blog. This photo was taken on April 17. I have 2 of these trees and they are both loaded with blossoms. This variety is hardy to zone 5, so we are on the north edge of its range. In general, apricots are one of the first fruit trees to bloom which makes them susceptible to late frosts. These trees are growing up against my house as an espalier. This gives them a little extra protection. Still, I do not get a harvest every year. The taste of the fruit is amazing. You do need to keep an eye on them because they ripen very quickly. My next crop is peaches. It’ll be a couple weeks before they bloom. The variety that I have is Contender, which is the most common variety in this area. This is a freestone variety that is hardy to zone 4. I do get a harvest yearly from the trees that I have. Don’t be afraid to give these a try. Both are self-pollinating. They are not more work than any other fruit tree. I do not spray and have not had any insect problems. Admittedly there may be a fungus starting on the peach, I keep an eye on that. Not many of the apricots or peaches make it into the kitchen, they get eaten on the way. Watching butterflies in their ethereal flights over the garden is surely one of gardening’s greatest pleasures, but since baby butterflies, aka caterpillars, eat the leaves of garden plants, you may want to limit your garden’s attractions to the nectar-producing flowers on which the adults feed. If you do this, you won’t have nearly as many butterflies (they don’t stick around long if there is no place to lay eggs), but you will also have less of a problem with the raggedy-leaf look. 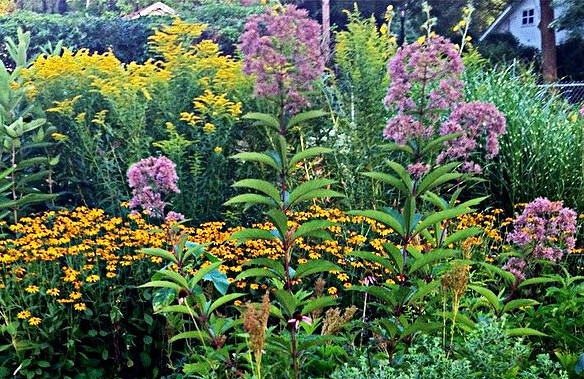 Butterfly garden containing goldenrod, black-eyed Susans, and Joe Pye Weed. Alternatively, you can plant flowers for the adult butterflies in your garden, and beyond the garden’s borders leave the weeds that caterpillars are fond of. Of course, weeds don’t stay put, so plan to be vigilant about incursions if you decide to go this route. Plants for butterflies: butterfly bush (Buddleia davidii), bee balm (Monarda didyma), lilac, black-eyed Susan (Rudbeckia spp), cosmos, lantana, gayfeather (Liatris spicata), phlox, goldenrod, and globe amaranth (Gomphrena globosa). Weeds for caterpillars: clover, wild fennel, milkweed, nettle, Queen Anne’s lace, Bermuda grass, sorrel, and thistle. 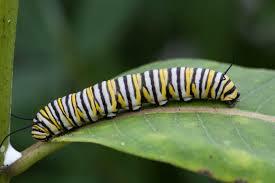 Garden plants caterpillars adore: parsley, lupine, hollyhock, mallow, dill, fennel, cultivated milkweed. Monarchs and swallowtails feed on different plants at different stages. There are four distinct stages in a butterfly’s life cycle: the egg, the caterpillar or larva, the chrysalis or pupa, the adult butterfly. Only the second and fourth stages eat, and the caterpillars do most of it. Monarch caterpillars specialize in various species of milkweed, whose bitter juice makes them distasteful to predators like birds. In its butterfly stage, the monarch may also drink the nectar from goldenrod, thistle, cosmos, butterfly bush, lantana, and lilac. During its caterpillar stage, the Eastern black swallowtail dines on members of the carrot family, which includes Queen Anne’s lace and parsley. During its butterfly stage, the swallowtail prefers nectar from flowers such as thistle, phlox, clover, and purple loosestrife. If you are keen on butterflies, be extra careful about how you apply pesticides, including environmentally benign ones like Bt (Bacillus thuringiensis). As far as the pesticide is concerned, a caterpillar is a caterpillar whether it’s a cabbage looper or a monarch-in-waiting. Fortunately, caterpillars are comparatively fussy eaters. Those cabbage loopers eat many plants, but only in the cabbage family. They don’t eat carrot family members like the parsley and dill that baby swallowtails dote on. If butterfly plants are growing close to something you absolutely must protect with pesticide, don’t use a dust, which will spread. Use a liquid, and paint it on the plant with a brush (sprays drift, even on still days). 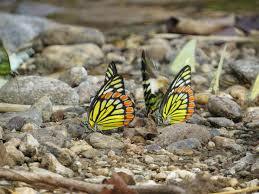 Give them a place for puddling – Butterflies often congregate on wet sand and mud to partake in “puddling,” drinking water and extracting minerals from damp puddles. Place coarse sand in a shallow pan and then insert the pan in the soil of your habitat. Now, sit back and enjoy the beautiful spots of color darting in and around your flowers all summer! One thing you’ll learn about gardeners: we love to share our knowledge and our experiences with other gardeners. Here is a reprint of an article from a fellow gardener in Sauk County that appeared in our State newsletter The Volunteer Vibe. When I was a child many, many, many years ago I loved watching insects. I would catch and study them under a microscope. We had a neighborhood with a lot of kids. We used our imaginations and made up old fashioned games. My forte was bugs. I’d catch them, put them in jars and charge a penny to view them. It was so much fun for a little kid! Now days my interest is a little more extensive and I attend any entomology presentation I can. When my Master Gardeners adopted a neglected historical site called the Reedsburg Area Pioneer Log Village we each adopted a cabin to beautify. We planted old-fashioned flowers and cared for the cabins to help attract more visitors and school children. Black-eyed Susan’s, hollyhocks, daisies, and numerous hardy native plants were planted in the very poor soil the pioneers had to deal with. These improvements helped but it was still not a village. Two victory gardens were planted. It’s amazing how many people don’t know why the victory garden were planted during WWI and WWII. It is a great teaching tool. We loved the gardens but it was still not enough. We started wondering what the pioneer doctors would have used since a drugstore or apothecary was not available. An herb garden was built and medicinal herbs were planted. This garden is another great teaching tool for both kids and adults. What was still missing? A prairie! A natural habitat for bees, butterflies and wildlife was just what the village needed. After a few summers went by, bluebird houses went up, bat houses went up, and native bee houses went up. Still something was missing. My love of the insect world must have pointed me in the right direction. We decided to create a butterfly trail and add bee hives. They work well together. Fortunately three of my Master Gardeners were bee keepers and volunteered to get us started. We built three hives and ordered three colonies with three queens all from California. Our California girls were doing a great job this past summer but only in two of the hives. One of the hives was a bit lazy. We still got fifty-one pounds of honey from the two productive hives. We were amazed when the poor producing hive re-queened itself with a Wisconsin lady. All three hives are buzzing with activity this spring. I have learned so much about the wonderful community of bees; their leaders, their workers, their gate keepers. The hives are wonderful teaching and learning tools for out busloads of visitors who have a love of nature. 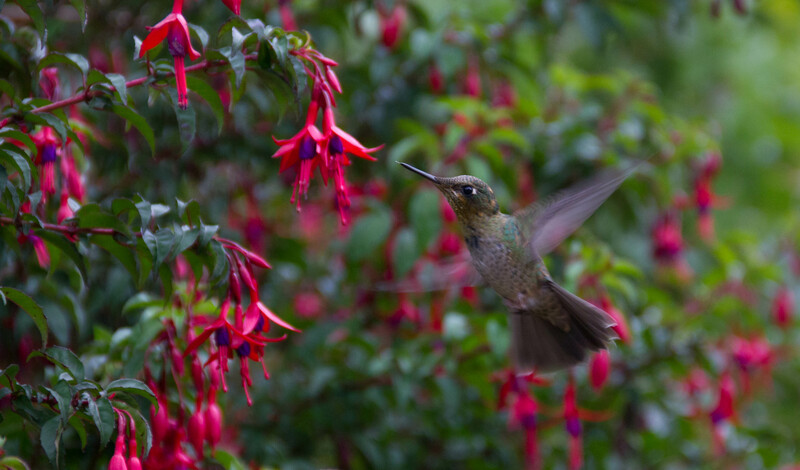 The arrival of hummingbirds in spring is one of the most anticipated pleasures of the garden! I don’t know about you, but I go out of my way to be ready for these little gems. There is nothing more disappointing than to see them begging at your window for a clean feeder with fresh nectar, but you weren’t prepared. My grandmother always said they arrive on, or near May 15th (and depart around September 15th.) Of course there are some who show up earlier each year, as well as the stragglers in late fall. I often hear people comment how they wish they were able to attract and keep the hummingbirds coming to their feeders all season long, so here are some of my tips. This is the perfect time of year to inspect your feeders from the previous year. There is nothing more important than starting with a clean feeder. Use ¼ C bleach to 1 gallon of water and soak them at least once a month. Be sure to use a brush to get any leftover mold or residue. Rinse, rinse, rinse with hot tap water when done. I’ve found a dishwasher safe feeder from Dr JB’s Clean Feeder that is easy to keep clean. Another helpful tip is to have an extra set of feeders. One that is clean and ready, and the other hanging outside for them. Fresh Nectar: NEVER use red food coloring. Studies have shown red dye can sicken the little beauties. They will find your feeder without the red coloring. I like to make my own nectar and you can make a double or triple batch which can be stored in a glass jar, and ready to use in your refrigerator. Start with 1 C boiling or very hot tap water, ¼ C sugar. Mix well and cool before pouring into your sparkling clean feeder. Frequency: It is so important to change your nectar every several days and especially in hot weather when the nectar spoils quickly. If you don’t have time to keep up, then it may be best that you don’t start feeding at all. 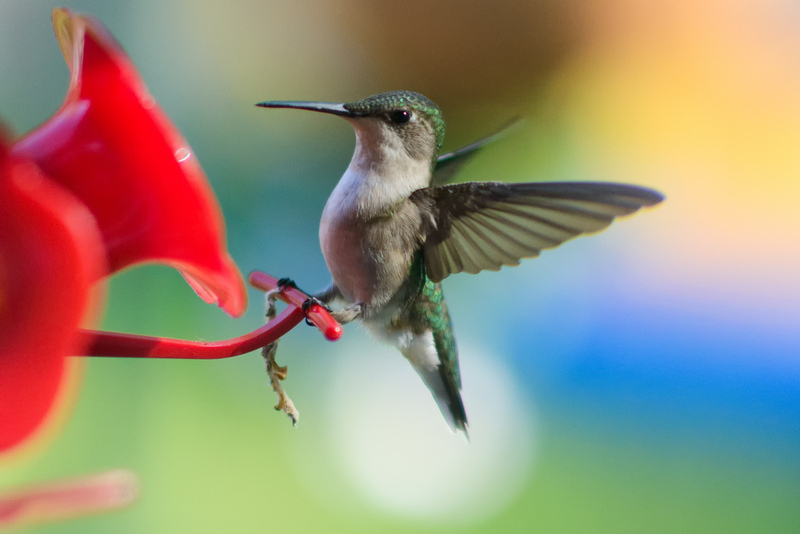 Nectar that is not changed every couple days can develop mold and fungus which can cause hummingbirds to get sick. If your nectar is cloudy, it is SPOILED! Additional Attractions: If you have a shady area to hang a Fushia, this will help attract Hummingbirds. They also love plants like Honeysuckle, Bee Balm, Red Hot Poker, Beardtongue, & Sage, to name a few, and of course these are all common names. I hope you make time to get ready to welcome the Hummingbirds this spring. And remember to keep the feeders clean, the nectar fresh, and above all be PATIENT. Enjoy the show! I Love, Love, Love Lavender! With visions of Heathcliff on the moors gathering fragrant bunches of heather and lavender, I’m swept up every time I use one of my lavender-scented soaps or walk through my garden and brush against the fragrant blooms of my lavender plants. I didn’t always have success growing the lavender, though. For a while, I had one as a houseplant until I overwatered it and sadly had to add it to the compost pile. Then, I had a couple in my garden that lived but didn’t thrive until I finally decided to do some research on why I was failing so often with this beloved plant. Enter ‘The Lavender Lover’s Handbook’, a badly needed and now heavily well-worn gift from my daughter-in-law who knew of my love for the plant. 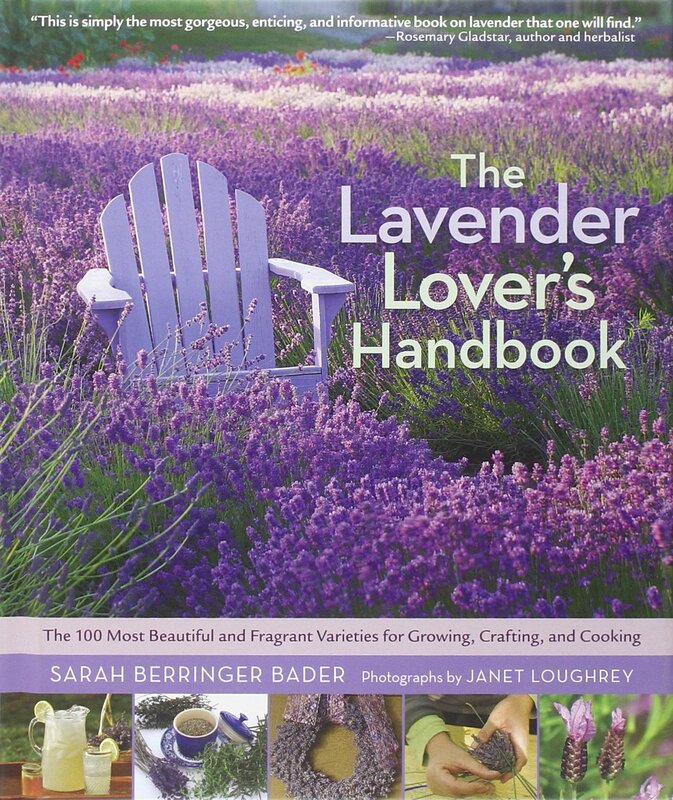 This book, by Sarah Berringer Bader, has been a primary reason for the turn-around of my plants from surviving to thriving. it’s absolutely beautiful with foliage that ranges from various shades of green through gray-green to silver. The flowers come in shades of blue, purple, pink, and white so versatility is huge! grown in the right spot, very little to no care is needed. As long as the spot has full sun, good drainage, and plenty of room to spread out, you can focus on plants that require your attention. Lavender will take care of itself, thank you very much! lavender attracts a range of pollinators — the good ones that not only pollinate your garden but also eat the pests you don’t want! Watch carefully on a sunny day and you’ll find bumblebees, honeybees, butterflies, ladybugs, and praying mantises drawn to this delightful plant. There are many, many lavender plants from which to choose so you’ll want to do your homework to make sure you’re ordering or buying a plant that will thrive in your growing zone. 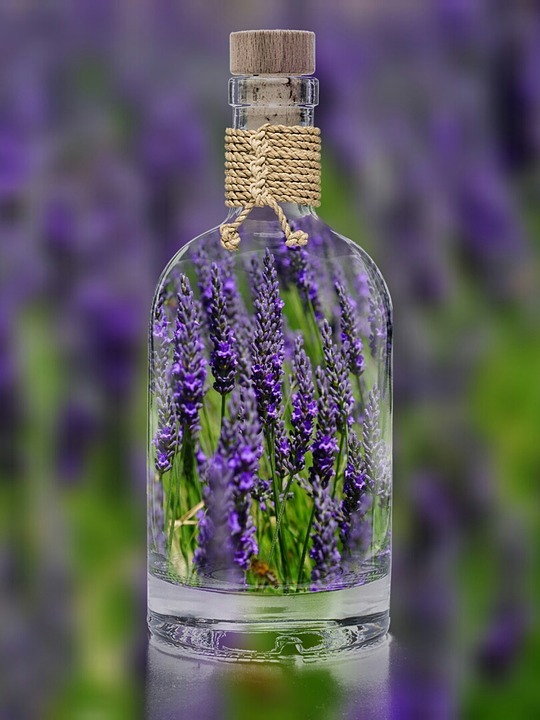 Because lavender is exceptionally drought tolerant, it’s a great addition any area of your garden where watering is a problem. Consider combining it with other drought-tolerant plants like Achillea millefolium (yarrow), Echinacea purpurea (purple coneflower), Gal lardia grandiflora (blanket flower), and Rudbeckia hirta (black-eyed Susan). The purple / yellow combination of these plants will make a beautiful garden area. Lavender and roses love growing together as well (see prior blog post here) and makes less work for you! While roses attract aphids, lavender attracts aphid-eating ladybugs. Roses do want more water than lavender, however, so you’ll want to mulch the roses to retain water. The flowers from both lavender and roses can be gathered and dried, but here’s where my skills leave me — utilizing the flowers for teas, soaps, baking, sachets, and crafts. However, with both purple and white lavender in my garden along with some beautiful yellow roses, I’m planning on learning these skills! The plants known as summer bulbs are like spring bulbs in that they use a wide assortment of true bulbs, corms, rhizomes, and tubers for energy storage. But unlike spring bulbs, they are not frost hardy. 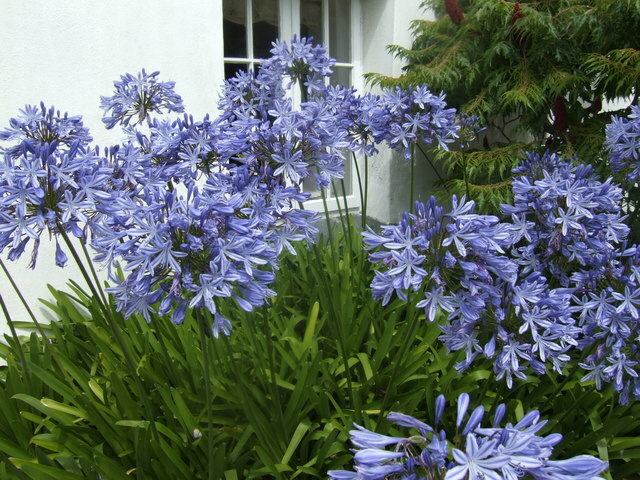 Gardeners in temperate zones must plant them each spring and — if they don’t want to keep buying new ones — must also dig them up in fall and store them over the winter. Although this didn’t bother the Victorians, who were big summer-bulb fans, over time these tender beauties gradually fell out of fashion. Fortunately, fashion is ever changing, and summer bulbs are again a hot item, with new introductions constantly entering the market. bright hues; the Peruvian daffodil or ismene (Hymenocallis narcissiflora), which has fragrant white or yellow daffodil-like blooms; and agapanthus, which has lush clusters of narrow leaves and starry clumps of blue or white flowers. Want more? How about the bright yellow, orange, and orange-red wands of Crocosmia x crocosmiiflora and its several close relatives; the tall, fragrant, white-flowered Galtonia candicans, sometimes called summer hyacinth; and perhaps most fragrant of all, the tuberose (Polianthes tuberosa). 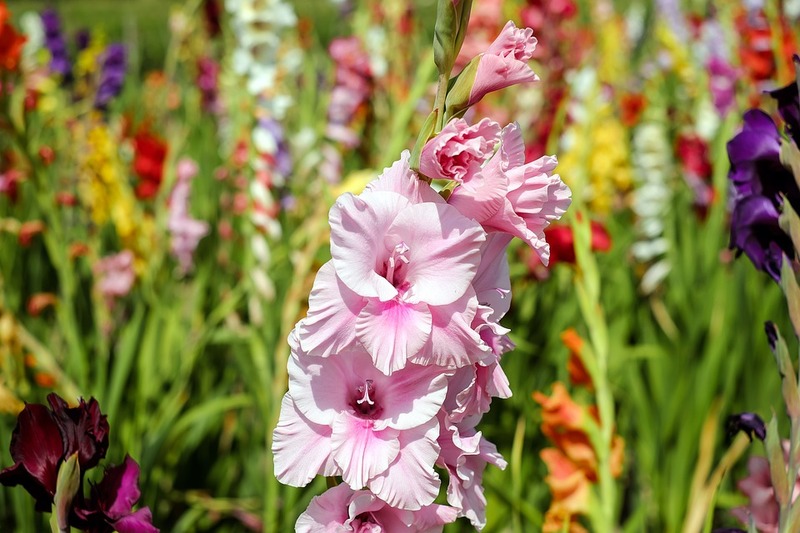 All these and more are easy to plant, easy to love, and readily available, but to be sure of the widest selection, consult specialty catalogs as well as your local garden center.